Today the Bellevue College community and local leaders celebrated the groundbreaking of the new student housing facility. Slated for occupancy in the fall of 2018, the project—designed to be highly sustainable—accommodates 350 beds in a mixture of units. 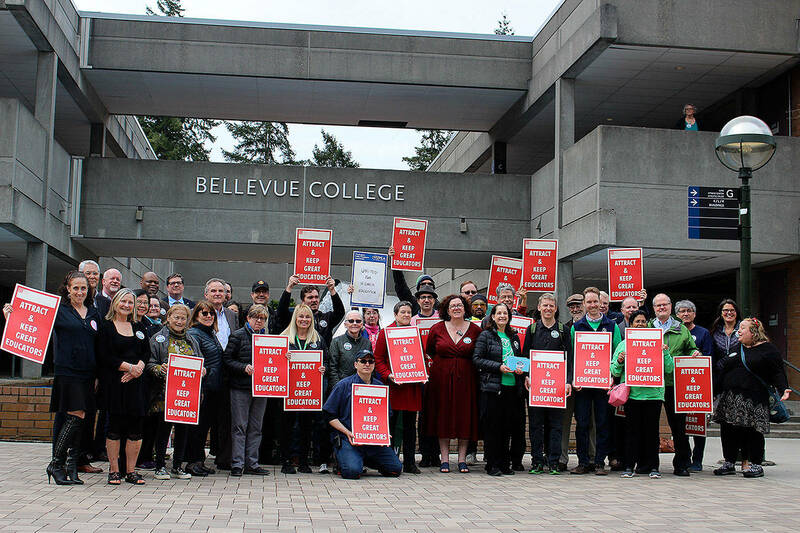 Bellevue College’s enrollment is expected to grow at a rate of 1.8 percent annually. With limited housing available nearby, and an increase in full-time and international students, the college was quick to move on the plan. Currently under construction, the first phase of Bellevue College’s new student housing development will deliver a 147 unit residential community, transforming the campus into a living, breathing 24/7 neighborhood that offers a sense of security, and promotes the well-being and academic achievement of students. The building will house apartment style units with studios, 2-bedroom studios and 4-bedroom apartments. It will also offer community spaces where students can collaborate and socialize. Sustainability is a primary component of the design, with the goal to achieve LEED Gold Certification status.